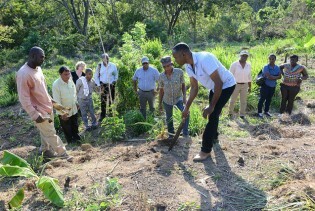 As Jamaica struggles under the burden of an ongoing drought, experts say ensuring food security for the most vulnerable groups in society is becoming one of the leading challenges posed by climate change. The U.N. Food and Agriculture Organisation (FAO) has long warned that a quarter of the world’s farmland is “highly degraded". During some parts of the year, a layer of salt can be seen on the ground in eastern Cuba, which makes it difficult, and sometimes impossible, to farm. Since agronomist Orlando Coto saw this with his own eyes, he has been searching for salt-tolerant fruit trees.